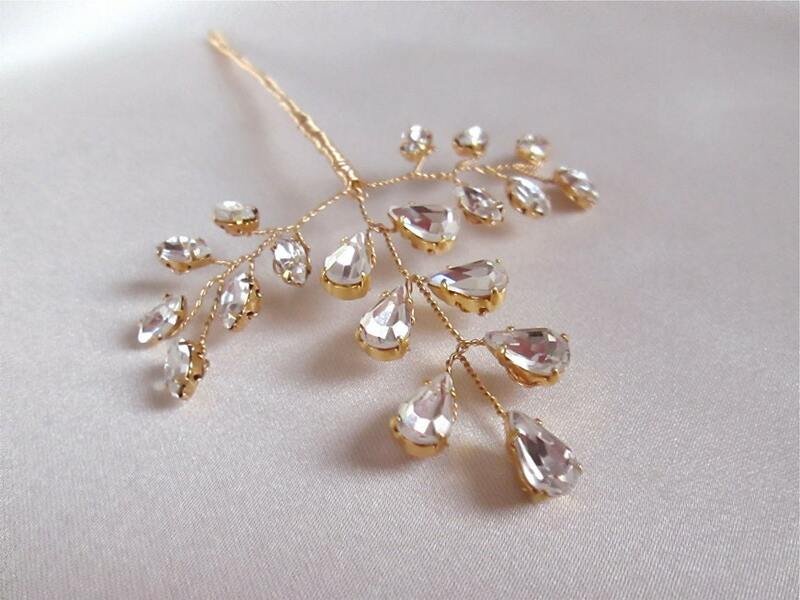 This delicate branch topped with tiny Swarovski crystals will add a modern sophisticated touch to your hair style. 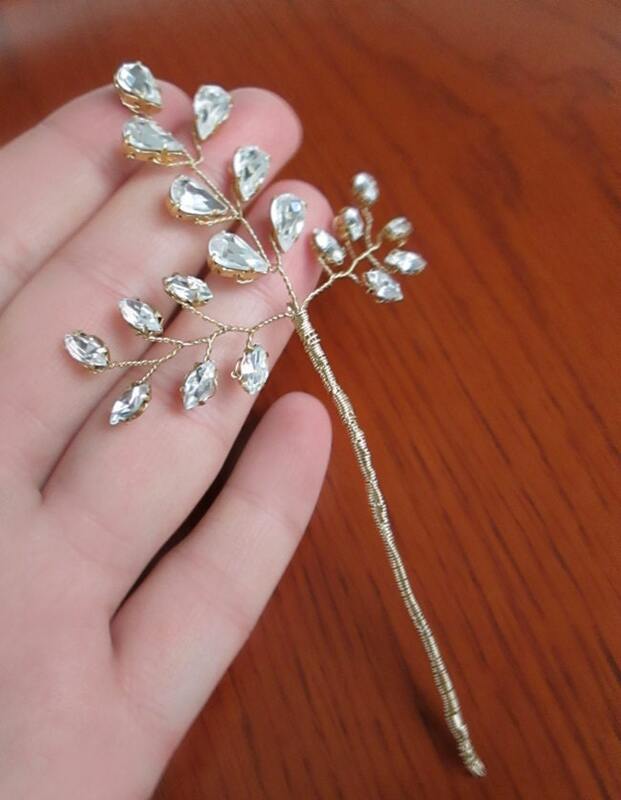 This hair pin is light and flexible, making it comfortable to wear and easy to style. The pin measures about 5 1/2" long in total length. The decorative part measures about 3 1/2" wide and 2 1/2" high. Available in gold, silver or rose gold finish.